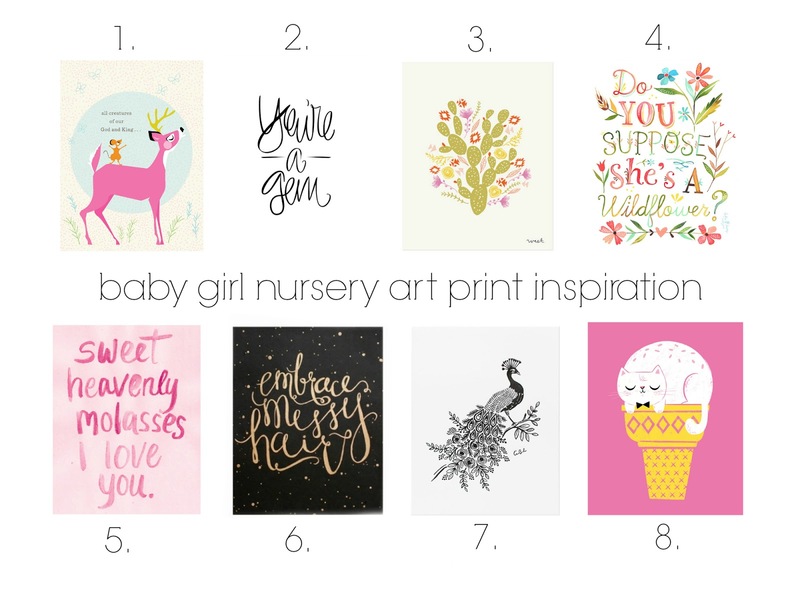 Today, I've rounded up my favorite art prints for a baby girl's nursery. We loved creating a gallery wall with prints of varying sizes and colors in Olivia's nursery and look forward to doing the same with the nursery we're working on now for baby number two, whether we have a boy or a girl! Below are my top picks for modern, eye-catching and vibrant prints for a little lady's nursery / I'll be sharing my favorites for a boy's nursery later this week.